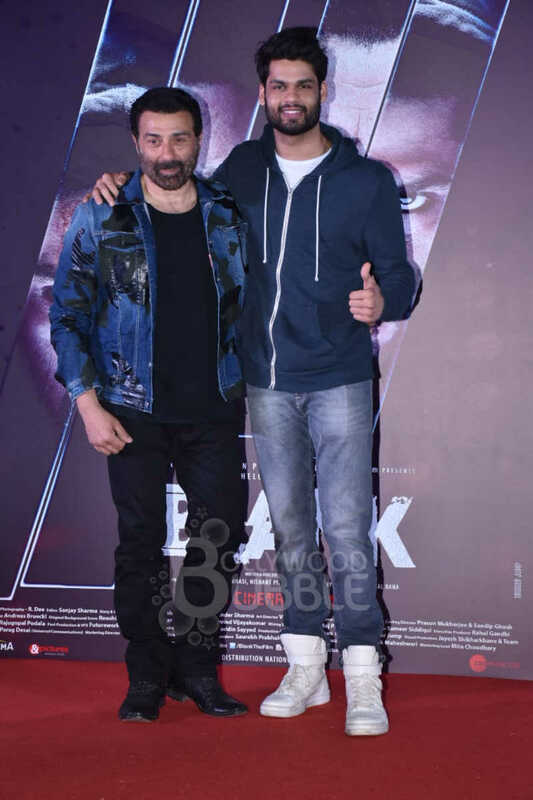 Both Sunny Deol and Karan Kapadia looked dashing at the trailer launch of their film 'Blank'. 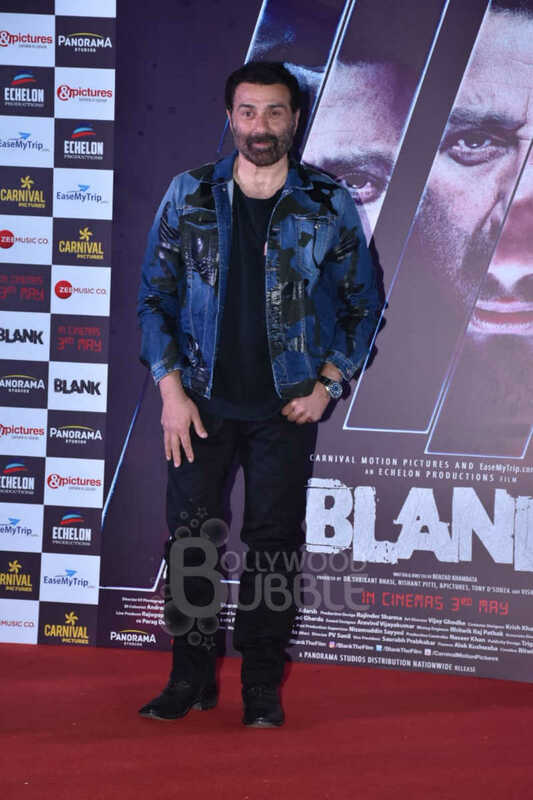 After a long time, Sunny Deol will be seen in a gritty thriller. 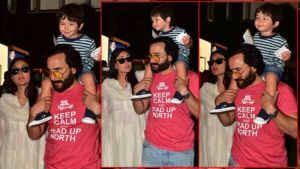 The actor looked handsome as usual as he sported a denim jacket, black tee and matching denims. Tall, dark and handsome Karan posed for the shutterbugs. 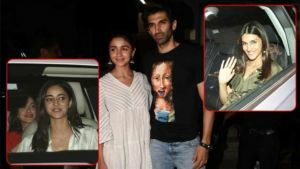 The newbie is the son of late actress Simple Kapadia. 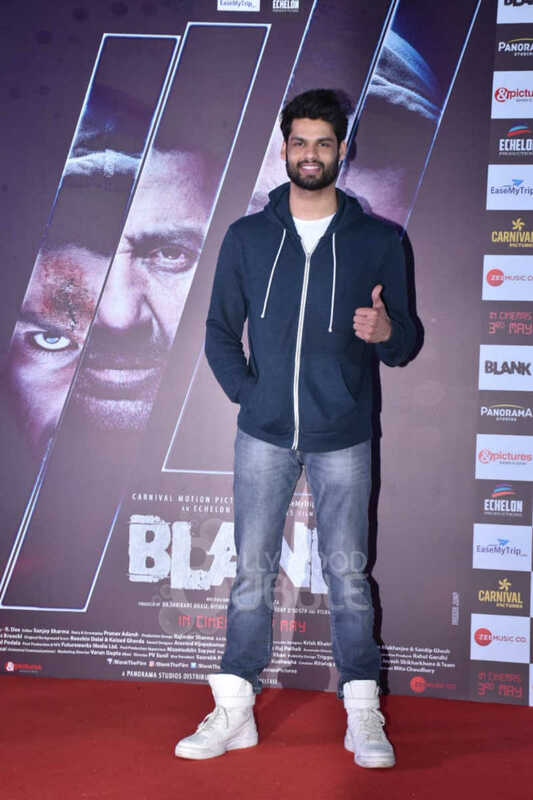 'Blank' also stars Karanvir Sharma and Ishita Dutta. Both of them posed together for the paps. 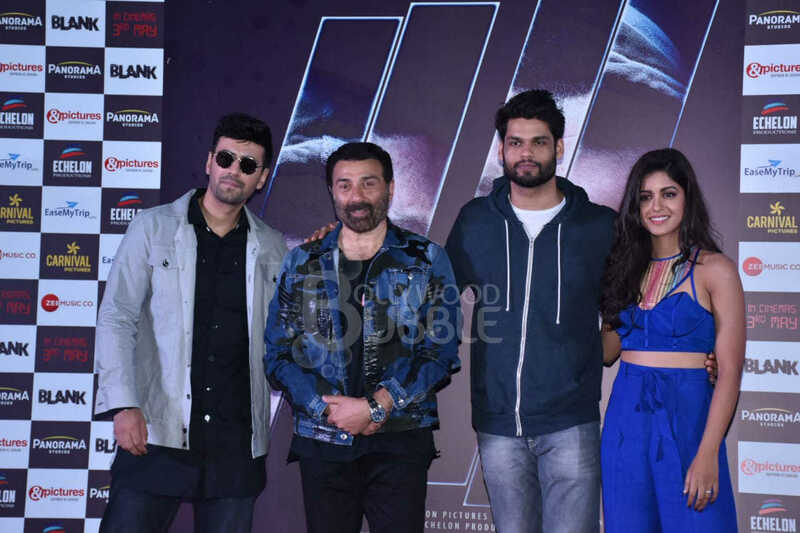 Sunny Deol flanked by Karan, Karanvir and Ishita. 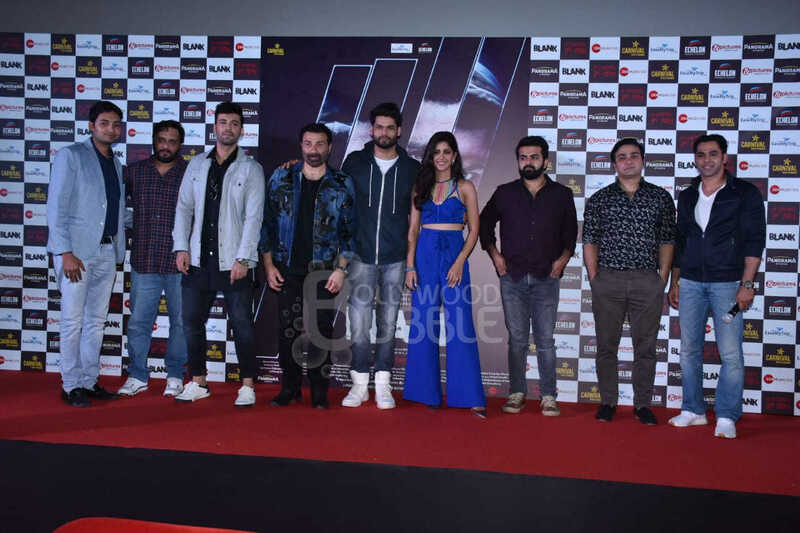 The entire team of 'Blank' came together at the trailer launch. The film's trailer is quite interesting. If you haven't seen it yet, then go and check it right away.